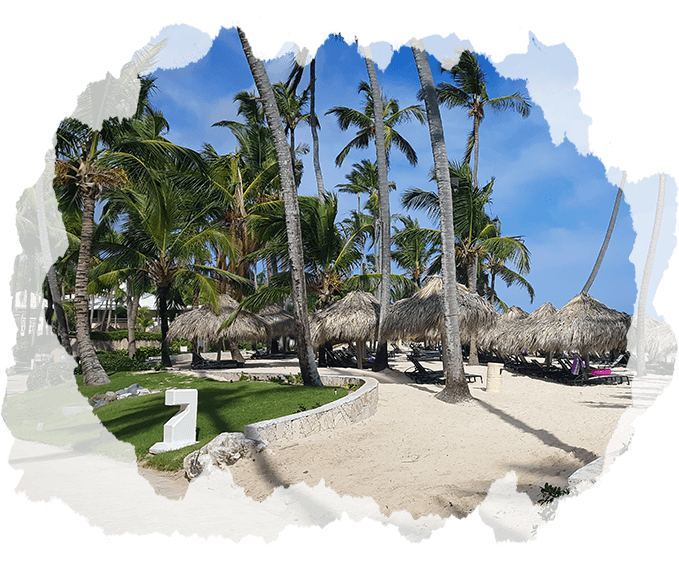 With Club CoreMed referrals and hourly points, earning an all-inclusive island getaway is within your reach, so we want to help you make that dream a reality. You even have the option to bring along a guest to share in the adventure! Read through the qualifying criteria below. For questions or concerns, contact your CoreMedical Group Trip Coordinators at 1-800-995-2673, or send an email using the contact information below. One point value awarded per assignment, not to be combined. Qualifying Dates:November 1, 2018 - November 30, 2019. Credit only given for assignments /placed referrals that begin during this time. For permanent contracts, 100 day minimum must be met before 11/30/2019. If 100 day minimum is hit after the deadline, points would be awarded for the following year. It is the responsibility of the employee to read all information provided and return all paperwork and needed documentation by the deadline that was outlined in the qualification email. Failure to do so will result in the employee forfeiting both the trip and bonus option. Credit will not be pro-rated (0.25). Points will be awarded upon completion of 110/120 hours for travel assignments. No points given for assignments (or a referral’s assignment) that is voluntarily terminated or terminated for cause. Permanent contracts must hit 100 day minimum within qualifying period. Points are not pro-rated. A permanent placement contract is considered one in which a candidate works directly with a permanent placement recruiter and begins a new placement. Travelers who sign on at a facility as permanent staff do not count as a permanent placement. 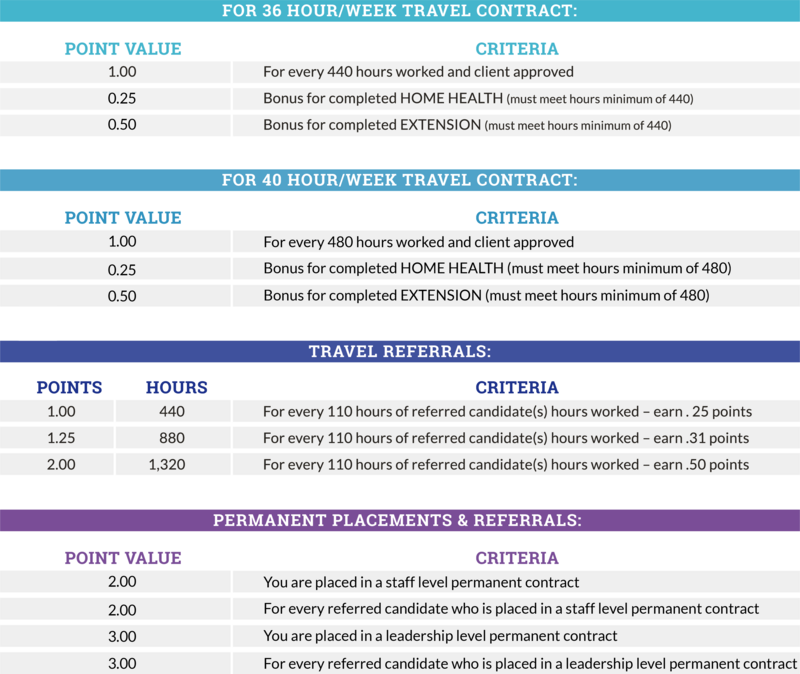 Travel referral must work 440/480 hours during qualifying period in order to receive 1 full referral point. CMG reserves the right to cancel/withdraw candidate’s qualification at management discretion at anytime. Permanent placement referrals will only count once. If a referred permanent candidate is placed in two different contracts in the same qualification period, points will only be awarded for the first contract. Permanent leadership roles include educator, supervisor, manager, director, and executive. Client referral credit will only be awarded to referrals of a client/job not currently in CMG database and after a candidate works a minimum of 440 hours. Max point for any client or job referral will be one point. To receive Extension bonus, extension assignment must start with no time off between previous assignment. 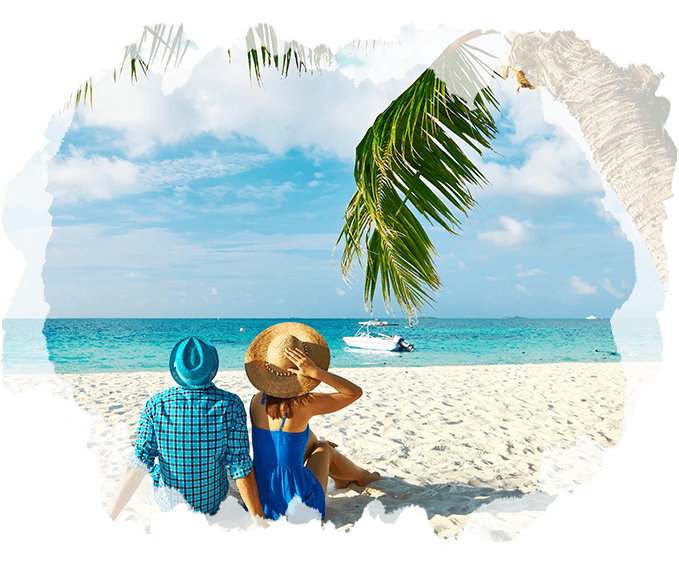 The Guest’s ALL INCLUSIVE cost includes round trip domestic airfare (add’l chg may apply from AK & HI) from where guest lives plus 5 days land and transfer costs. Guest LAND, TRANSFER package does not include airfare. CMG will not be responsible for any additional fees directly charged by airline carrier. Those qualified are highly encouraged to read and execute your qualification paperwork immediately upon receipt promptly and within the deadline as indicated per your package. Failure to return your documentation within deadline will result in individual forfeit of trip and bonus option. Accommodations are limited. Each traveler qualifying for the trip is eligible to utilize one guest room and may not purchase additional rooms. Guest fees will not be pro-rated. Guest fee schedule subject to change. Full details, disclaimers and instructions will be supplied to each qualified traveler no later than 12/31/2019. Core Medical Group is required to comply with all IRS guidelines and regulations as they pertain to fringe benefits, cash and non-cash compensation.